Sleeper cars! They’re one of my favorite sub-category of cars. Highly customizable and with varying degrees of power and performance, they’re designed to blend fun and utility. What could be better? As a quick refresher, a sleeper car is any car that looks slow but isn’t. So, they’re usually wagons, sedans, trucks or SUVs. From the outside, they appear to be boring cars whose most important job is to make grocery runs. But, beneath the hood, they’re packing some serious power, winning highway pulls against dedicated sports cars and wiping the smirks from over-confident faces. Driving them around is like dailying your best-kept automotive secret. I am extremely here for stuff like that. There are a number of cars you can buy today that basically came as sleeper cars from the factory. 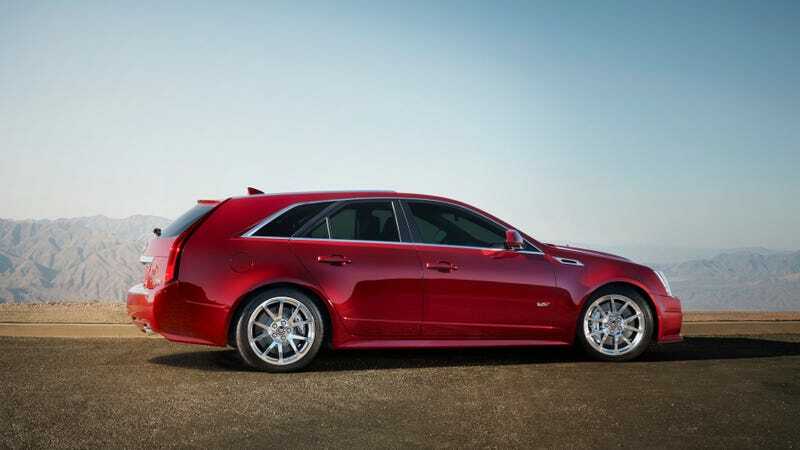 Any performance wagon, like the CTS-V. The Volvo S60 and V70 Rs. The V10 Audi RS 6. The V10 BMW M5. Those are a few of my personal favorites. But as great as stock cars are, let’s take it a step further. How would you build your ideal sleeper car? Never mind garage space, cost or maintenance. This is a perfect world where you can take any body style and put any engine into it. Here’s mine: I’d take the supercharged V8 out of a Jaguar F-Type and put it into a W203-chassis Mercedes C-Class (my generation). This was the generation before Mercedes went super aggro on C-Class design and I think it’s aging quite nicely. You see dozens of these things on the road and they’re all driven in a pretty pedestrian manner. Then, I’d give it the seven-speed manual from the 911 and an LSD. And maybe some slightly wider rear tires and bigger brakes to help cope with the additional power. I’d give it a Loud Mode setting, where the exhausts open up and it could do that un-burnt fuel crackling thing that F-Types can do, just so I’d have something to amuse myself with in tunnels. And I wouldn’t touch anything else. Stock height, stock exhaust tips, no window tinting. Don’t want to draw any extra attention here. Hell, maybe I’d even paint it champagne. That’s how I do mine. How would you build your ideal sleeper car? What Are The Best Names For Trim Packages?